None of us are too keen on dental procedures, and it’s possible that having root canal work is at the top of the list of treatments that people worry about. 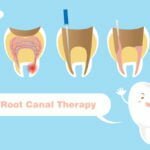 However, it can help to know exactly what’s involved in having root canal therapy, and how to manage eating after your treatment. Each of our teeth is made up primarily of a substance called dentine, with enamel coating the exposed surface of the tooth. The part of the tooth that lies beneath the gum is known as the root. Within the tooth is a mix of blood vessels, nerves and a pulp that provides nutrients, oxygen and feeling to the tooth. People require root canal therapy when the pulp becomes infected, which can affect both the tooth concerned and, if the infection spreads, surrounding bone and other teeth. According to the Better Health Channel, symptoms may include pain when chewing, swelling of the gum, sensitivity to heat and cold, or a number of others. Sometimes, there may be no obvious symptoms and diagnosis is done via X-ray. Clearing active decay and infection. Creating a smooth, evenly shaped canal that can’t harbour any bacteria. Refilling the canals with a long lasting barrier product. Sealing the top of the tooth with a long lasting crown to protect the cavity. If several visits are required, your dentist will work on the tooth, then put in a temporary filling until your next visit. Eat on the opposite side to the tooth that’s being worked on. Chew slowly so you don’t risk the food ending up on the side you’re avoiding. Try to avoid extremes of heat while your mouth is still numb from the anesthetic – ie tea, coffee, soup, etc. Avoid having to chew too much, and limit your diet to soft foods. Avoid foods that are hard or sticky. Soft fruits – banana, mango, stewed fruits. Soft cereal – weetbix well soaked, porridge, semolina, etc. Dairy products – yoghurt, milk, milkshakes/fruit smoothies, icecream. Soft proteins – eggs, tofu, white fish. Dips – hummus, tzadtsiki, babaganoush. 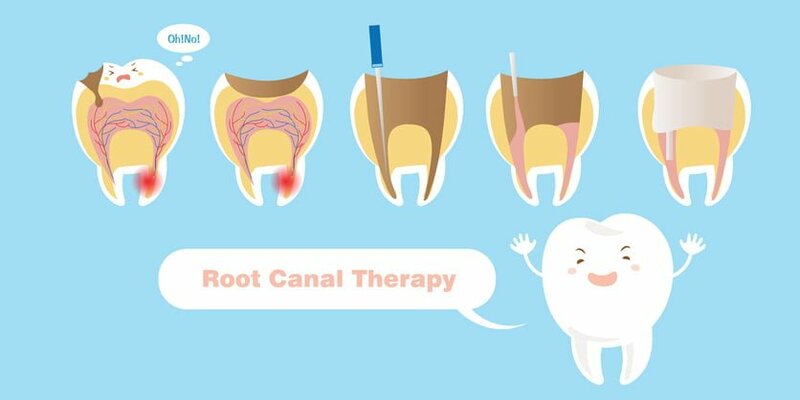 Our Sydney endodontist can help determine if you need root canal therapy. Even if you’re not showing any of the listed symptoms, mention any concerns you have at your next check-up.